ICT and other advanced technologies are becoming a powerful tool for responding to criminals, engaging in hotspots policing, solving violent crimes, monitoring employees’ performance and many other functions. Technologies, such as video cameras, data mining systems, heat sensors, biometrics, GPS tracking, and Internet and telecommunication systems are being used for the detection, investigation, prosecution and prevention of crime in the law enforcement and security sector. 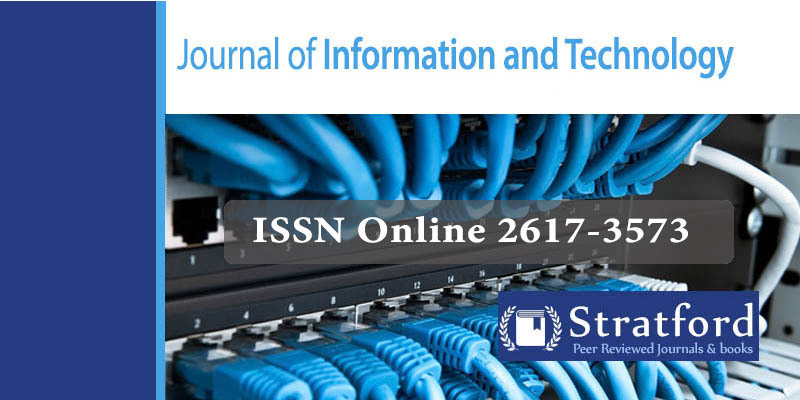 The purpose of the study was to establish the role of information communication and technology in enhancing security in urban areas in Kenya: A literature based review. The paper used a desk study review methodology where relevant empirical literature was reviewed to identify main themes. A critical review of empirical literature was conducted to establish the role of role of information communication and technology in enhancing security in urban areas. It was established that technology is critical to enhancing security in urban areas and in the country at large. Today’s urban cities face a number of threats on a daily basis, it is essential to have a complete view of their operations and the local area at all times. Technologically enables collective action and offers a viable near-term complement to traditional crime fighting efforts in urban areas. ICT makes it easier for public groups and NGOs to organize responses to crime and even to highlight and thereby decrease instances of security officers’ incompetence and corruption. The study concluded that several methods could be satisfactorily adopted for crime-based prevention and use of technology after identifying the spots. Places where there is high rate of crime, implementation of vigilance with CCTV, situational crime prevention methods and checking the geographical unit where crime rate is high and less. The study recommended the implementation of an information-sharing platform between agencies to enhance security in urban areas. This platform would provide information to the various security agencies. Further information from the various security agencies should be interlinked to provide real time information that can be used to avert crime activities in the urban areas. Key words: Information Communication and Technology, Security, Urban Areas, Kenya. Farrell, G., Tseloni, A., Mailley, J., & Tilley, N. (2013). The crime drop and the security hypothesis. Journal of Research in Crime and Delinquency, 48(2), 147-175. Fishbein, M., & Ajzen, I. (1995). Belief, attitude, intention and behavior: An introduction to theory and research. Gikonyo, B. N. (2013). Information systems framework for traffic congestion management: case study of Nairobi (Doctoral dissertation, Strathmore University). Gimode, E. (2015). An anatomy of violent crime and insecurity in Kenya: the case of Nairobi in the last quarter of the twentieth century. In Proceedings of the Conference on the Urban Experience in Eastern Africa. British Institute in Eastern Africa (pp. 50-68). Kumar, B. (2012). Role of Information and Communication Technology in Indian Police. Gian Jyoti E-Journal, 1(2), 13-21. LeBas, A. (2013). Violence and urban order in Nairobi, Kenya and Lagos, Nigeria. Studies in Comparative International Development, 48(3), 240-262. London Assembly (2016). How the Metropolitan Police Service can make better use of technology. Mubaraka, C. M., Jirgi, I. M., & Nanyanzi, P. L. (2013). Integrating ICT in traffic police department in Uganda: Design and development of traffic case management system (TCRIS). Innovative Systems Design and Engineering, 4(5), 17-26. Nunn, S. (2013). Police technology in cities: changes and challenges. Technology in society, 23(1), 11-27. Skilling, L., & Rogers, C. (2017). Crime prevention and coping mechanisms in neighborhoods: insights from Kibera, Nairobi. Crime Prevention and Community Safety, 19(2), 103-121. White, M. D. (2014). Police officer body-worn cameras: Assessing the evidence. Washington, DC: Office of Justice Programs, US Department of Justice.